Рак молочной железы (РМЖ) продолжает оставаться наиболее распространенным злокачественным новообразованием у женщин. В последние годы отмечается тенденция к «омоложению» заболевания, что влияет на его особенности. Несмотря на современные методы диагностики и комплексного лечения, применяемые у молодых пациенток, показатели выживаемости в этой возрастной группе ниже, что связано с биологическими и морфологическими особенностями РМЖ в молодом возрасте. Постепенно накапливаются данные, согласно которым возраст может являться независимым фактором, ухудшающим прогноз. Для больных РМЖ моложе 40 лет до сих пор неоднозначными остаются различные аспекты гормонотерапии: пролонгирование приема тамоксифена, назначение ингибиторов ароматазы, выключение функции яичников, влияние аменореи, индуцированной адъювантной химиотерапией, на прогноз. Вопрос адекватной, персонализированной адъювантной гормонотерапии РМЖ является комплексным и гетерогенным, что диктует необходимость проведения дальнейших международных рандомизированных исследований. 1. Ferlay J., Shin H.R., Bray F. et al. Estimates of worldwide burden of cancer in 2008: GLOBOCAN 2008. Int J Cancer 2010;127(12):2893–917. PMID: 21351269. DOI: 10.1002/ijc.25516. 2. Аксель Е.М. Статистика злокачественных новообразований женских половых органов. Опухоли женской репродуктивной системы 2009;(1–2):76–80. DOI: 10.17650/1994-4098-2009-0-1-2-76-80. [Aksel’ E.M. Statistics of gynecological malignancies. Opukholi zhenskoy reproduktivnoy sistemy = Tumors of Female Reproductive System 2009; (1–2):76–80. (In Russ.)]. 3. Портной С.М., Шендрикова Т.А. Адъювантная гормонотерапия рака молочной железы длительностью 10 лет: за и против. Опухоли женской репродуктивной системы 2013;(3–4): 50–3. [Portnoy S.M., Shendrikova T.A. Ten-year adjuvant hormone therapy for breast cancer: pros and cons. Opukholi zhenskoy reproduktivnoy sistemy = Tumors of Female Reproductive System 2013;(3–4):50–3. (In Russ.)]. 4. Состояние онкологической помощи населению России в 2015 г. Под ред. А.Д. Каприна, В.В. Старинского, Г.В. Петровой. Доступно по: http://oncology-association.ru/docs/medstat/sostoyznie/2015.pdf. [Situation with cancer care in Russia in 2015. Ed. by A.D. Kaprin, V.V. Starinskiy, G.V. Petrova. Available at: http://oncology-association.ru/docs/medstat/sostoyznie/2015.pdf. (In Russ.)]. 5. Злокачественные новообразования в России в 2010 г. Под ред. В.И. Чиссова, В.В. Старинского, Г.В. Петровой. М., 2012. 260 с. [Malignant tumors in Russia in 2010. Ed. by V.I. Chissov, V.V. Starinskiy, G.V. Petrova. Moscow, 2012. 260 p. (In Russ.)]. 6. Давыдов М.И., Аксель Е.М. Статистика злокачественных новообразований в России и странах СНГ в 2011 г. Вестник РОНЦ 2011;22(3):57. [Davydov M.I., Aksel’ E.M. Statistics of malignant tumors in Russia and CIS countries in 2011. Vestnik RONC = Journal of N. N. Blokhin Russian Cancer Research Center 2011;22(3):57. (In Russ.)]. 7. Берштейн Л.М. Онкоэндокринология. Традиции, современность и перспективы. СПб. : Наука, 2004. 340 c. [Bershtein L.M. Oncologic endocrinology. Traditions, current trends, and outlooks. Saint Petersburg: Nauka, 2004. 340 p. (In Russ.)]. 8. Коваленко И.Г., Колесник О.С., Берштейн Л.М. Катехолэстрогены: образование, свойства и роль в канцерогенезе. Вопросы онкологии 1997;43(3): 257–62. [Kovalenko I.G., Kolesnik O.S., Bershtein L.M. Catecholestrogens: production, characteristics, and their role in carcinogenesis. Voprosy onkologii = Problems in Oncology 1997;43(3):257–62. (In Russ.)]. 9. Автомонов Д.Е., Пароконная А.А., Любченко Л.Н. и др. Клинико-морфологические характеристики и прогноз BRCA-ассоциированного рака молочной железы у женщин репродуктивного возраста. Опухоли женской репродуктивной системы 2012;(1):20–3. [Avtonomov D.E., Parokonnaya A.A., Lyubchenko L.N. et al. Clinical and morphological characteristics and prognosis of BRCA-associated breast cancer in women of reproductive age. Opukholi zhenskoy reproduktivnoy sistemy = Tumors of Female Reproductive System 2012;(1):20–3. (In Russ.)]. 10. DeSantis C., Siegel R., Bandi P., Jemal A. Breast cancer statistics, 2011. CA Cancer J Clin 2011;61(6):409–18. PMID: 21969133. DOI: 10.3322/caac.20134. 11. Anders C.K., Johnson R., Litton J. et al. Breast cancer before age 40 years. Semin Oncol 2009;36:237–49. PMID: 19460581. DOI: 10.1053/j.seminoncol.2009.03.001. 12. Torino F., Barnabei A., De Vecchis L. et al. Chemotherapy-induced ovarian toxicity in patients affected by endocrine-responsive early breast cancer. Crit Rev Oncol Hematol 2014;89(1):27–42. PMID: 23953684. DOI: 10.1016/j.critrevonc.2013.07.007. 13. Samphao S., Wheeler A.J., Rafferty E. et al. Diagnosis of breast cancer in women age 40 and younger: delays in diagnosis result from underuse of genetic testing and breast imaging. Am J Surg 2009;198(4):538–43. PMID: 19800464. DOI: 10.1016/j.amjsurg.2009.06.010. 14. Chen H.L., Zhou M.Q., Tian W.T. et al. Effect of age on breast cancer patient prognoses: a population-based study using the SEER 18 Database. PLoS One 2016;11(10):e0165409. PMID: 27798652. DOI: 10.1371/journal.pone.0165409. 15. Francis P.A. Optimal adjuvant therapy for very young breast cancer patients. Breast 2011;20(4):297–302. PMID: 21605976. DOI: 10.1016/j.breast.2011.05.002. 16. Freedman R.A., Partridge A.H. Management of breast cancer in very young women. Breast 2013;22(Suppl 2):S176–9. DOI: 10.1016/j.breast.2013.07.034. 17. Давыдов М.И., Аксель Е.М. Статистика злокачественных новообразований в России и странах СНГ в 2004 г. Вестник РОНЦ 2006;17(3):132. 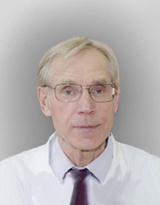 [Davydov M.I., Aksel E.M. Statistics of malignant tumors in Russia and CIS countries in 2004. Vestnik RONC = Journal of N.N. Blokhin Russian Cancer Research Center 2006;17(3):132. (In Russ.)]. 18. Gabriel C.A., Domchek S.M. Breast cancer in young women. Breast Cancer Res 2010;12(5):212. DOI: 10.1186/bcr2647. 19. Летягин В.П. Настоящее и будущее анти-HER2-терапии рака молочной железы. Опухоли женской репродуктивной системы 2011;2:41–4. [Letyagin V.P. Present and future of anti-HER2 therapy for breast cancer. Opukholi zhenskoy reproduktivnoy sistemy = Tumors of Female Reproductive System 2011;2:41–4. (In Russ.)]. 20. Давыдов М.И., Летягин В.П. Практическое руководство по клинической маммологии. М., 2004. С. 5–7. [Davydov M.I., Letyagin V.P. Clinical mammology: practical guideline. Moscow, 2004. Pp. 5–7. (In Russ.)]. 21. Anders C.K., Hsu D.S., Broadwater G. et al. Young age at diagnosis correlates with worse prognosis and defines a subset of breast cancers with shared patterns of gene expression. J Clin Oncol 2008;26(20):3324–30. PMID: 18612148. DOI: 10.1200/JCO.2007.14.2471. 22. De la Rochefordiere A., Asselain B., Campana F. et al. Age as prognostic factor in premenopausal breast carcinoma. Lancet 1993;341:1039–43. PMID: 8096955. 23. El Saghir N.S., Seoud M., Khalil M.K. et al. Effects of young age at presentation on survival in breast cancer. BMC Cancer 2006;6:194. PMID: 16857060. DOI: 10.1186/1471-2407-6-194. 24. Bharat A., Aft R.L., Gao F. et al. Patient and tumor characteristics associated with increased mortality in young women (< or =40 years) with breast cancer. J Surg Oncol 2009;100(3):248–51. PMID: 19330813. DOI: 10.1002/jso.21268. 25. Han W., Kim S.W., Park I.A. et al. Young age: an independent risk factor for diseasefree survival in women with operable breast cancer. BMC Cancer 2004;4:82. PMID: 15546499. DOI: 10.1186/1471-2407-4-82. 26. Gnerlich J.L., Deshpande A.D., Jeffe D.B. et al. Elevated breast cancer mortality in women younger than age 40 years compared with older women is attributed to poorer survival in early-stage disease. J Am Coll Surg 2009;208(3):341–7. PMID: 19317994. DOI: 10.1016/j.jamcollsurg.2008.12.001. 27. Azim H.A.Jr., Michiels S., Bedard P.L. et al. Elucidating prognosis and biology of breast cancer arising in young women using gene expression profiling. Clin Cancer Res 2012;18(5):1341–51. PMID: 22261811. DOI: 10.1158/1078-0432.CCR-11-2599. 28. Mathew A., Pandey M., Rajan B. Do younger women with non-metastatic and noninflammatory breast carcinoma have poor prognosis? World J Surg Oncol 2004;2:2. PMID: 14736343. DOI: 10.1186/1477-7819-2-2. 29. Loibl S., Jackisch C., Lederer B. et al. Outcome after neoadjuvant chemotherapy in young breast cancer patients: a pooled analysis of individual patient data from eight prospectively randomized controlled trials. Breast Cancer Res Treat 2015;152(2):377–87. PMID: 26109347. DOI: 10.1007/s10549-015-3479-z. 30. Bao T., Davidson N. Adjuvant endocrine therapy for premenopausal women with early breast cancer. Breast Cancer Res 2007;9(6):256–9. DOI: 10.1186/bcr1830. 31. Torrisi R., Bagnardi V., Rotmensz N. et al. Letrozole plus GnRH analogue as preoperative and adjuvant therapy in premenopausal women with ER positive locally advanced breast cancer. Breast Cancer Res Treat 2011;126(2):431–41. DOI: 10.1007/s10549-010-1340-y. 32. Ohtani H., Mori-Shiraishi K., Nakajima M. Defining lymphocyte-predominant breast cancer by the proportion of lymphocyterich stroma and its significance in routine histopathological diagnosis. Pathol Int 2015;65(12):644–51. DOI: 10.1111/pin.12355. 33. Azim H.A.Jr., Davidson N.E., Ruddy K.J. Challenges in treating premenopausal women with endocrine-sensitive breast cancer. Am Soc Clin Oncol Educ Book 2016;35:23–32. DOI: 10.14694/EDBK_159069. 34. Jankowitz R.C., McGuire K.P., Davidson N.E. Optimal systemic therapy for premenopausal women with hormone receptor-positive breast cancer. Breast 2013;22:S165–70. PMID: 24074781. DOI: 10.1016/j.breast.2013.07.032. 35. Gray R.G., Rea D., Handley D. et al. aTTom: Long-term effects of continuing adjuvant tamoxifen to 10 years versus stopping at 5 years in 6,953 women with early breast cancer. J Clin Oncol 2013;18:5. 36. Al-Mubarak M., Tibau A., Templeton A.J. et al. Extended adjuvant tamoxifen for early breast cancer: a meta-analysis. PLoS One 2014;9(2):1–9. PMID: 24586311. DOI: 10.1371/journal.pone.0088238. 37. Davies C., Pan H., Godwin J., Gray R. Long-term effects of continuing adjuvant tamoxifen to 10 years versus stopping at 5 years after diagnosis of oestrogen receptor-positive breast cancer: ATLAS, a randomized trial. Lancet 2012;(4):61963–1. 38. Brennan M., French J., Houssami N. et al. Breast cancer in young women. Aust Fam Physician 2005;34(10):851–5. PMID: 16217572. 39. Wu S., Li Q., Zhu Y. et al. Role of goserelin in combination with endocrine therapy for the treatment of advanced breast cancer in premenopausal women positive for hormone receptor: a retrospective matched case-control study. Cancer Biother Radiopharm 2013;28(10):697–702. PMID: 23806020. DOI: 10.1089/cbr.2012.1436. 40. Goldhirsch A., Wood W.C., Coates A.S. et al. Strategies for subtypesdealing with the diversity of breast cancer: highlights of the St Gallen International Expert Consensus on the primary therapy of early breast cancer. Ann Oncol 2011;22(8):1736–47. PMID: 21709140. DOI: 10.1093/annonc/mdr304. 41. Smith I.E., Dowsett M., Yap Y.S. et al. Adjuvant aromatase inhibitors for early breast cancer after chemotherapy-induced amenorrhoea: caution and suggested guidelines. J Clin Oncol 2006;24(16):2444–7. PMID: 16735701. DOI: 10.1200/JCO.2005.05.3694. 42. Puhalla S., Bhattacharya S., Davidson N.E. Hormonal therapy in breast cancer: a model disease for the personalization of cancer care. Mol Oncol 2012;6(2): 222–36. DOI: 10.1016/j.molonc.2012.02.003. 43. Добровольская Н.Ю., Ввозный Э.К., Бычков Ю.М. Возможности адъювантной эндокринной терапии рака молочной железы (часть 1). Опухоли женской репродуктивной системы 2008;(3): 54–7. [Dobrovol’skaya N.Yu., Vvoznyy E.K., Bychkov Yu.M. Adjuvant endocrine therapy for breast cancer (part 1). Opukholi zhenskoy reproduktivnoy sistemy = Tumors of Female Reproductive System 2008;(3):54–7. (In Russ.)]. 44. Taylor C.W., Green S., Dalton W.S. et al. Multicenter randomized clinical trial of goserelin versus surgical ovariectomy in premenopausal patients with receptorpositive breast cancer: an intergroup study. J Clin Oncol 1998;16(3):994–9. PMID: 9508182. DOI: 10.1200/JCO.1998.16.3.994. 45. Слетина С.Ю., Комаров И.Г., Комов Д.В. и др. Лапароскопические операции на матке и ее придатках у больных раком молочной железы. Опухоли женской репродуктивной системы 2008;(2):23–6. [Sletina S.Yu., Komarov I.G., Komov D.V. et al. Laparoscopic surgery on the uterus and its appendages in patients with breast cancer. Opukholi zhenskoy reproduktivnoy sistemy = Tumors of Female Reproductive System 2008;(2):23–6. (In Russ.)]. 46. Седов В.М., Стрижелецкий В.В. Осложнения в лапароскопической хирургии и их профилактика. СПб. : Санкт-Петербургское медицинское издательство, 2002. 179 c. [Sedov V.M., Strizheletskiy V.V. Complications of laparoscopic surgery and their prevention. Saint Petersburg: Sankt-Peterburgskoe meditsinskoe izdatelstvo, 2002. 179 p. (In Russ.)]. 47. Kaufmann M., Graf E., Jonat W. et al. A randomised trial of goserelin versus control after adjuvant, risk-adapted chemotherapy in premenopausal patients with primary breast cancer – GABG-IV B-93. Eur J Cancer 2007;43(16):2351–8. PMID: 17897821. DOI: 10.1016/j.ejca.2007.08.012. 48. Sverrisdottir A., Johansson H., Johansson U. et al. Interaction between goserelin and tamoxifen in a prospective randomised clinical trial of adjuvant endocrine therapy in premenopausal breast cancer. Breast Cancer Res Treat 2011;128(3):755–63. PMID: 21625929. DOI: 10.1007/s10549-011-1593-0. 49. Zhou J., Wu S.G., Wang J.J. et al. Ovarian ablation using goserelin improves survival of premenopausal patients with stage ii/iii hormone receptor-positive breast cancer without chemotherapy-induced amenorrhea. Cancer Res Treat 2014;47(1):55–63. DOI: 10.4143/crt.2013.165. 50. LHRH-agonists in Early Breast Cancer Overview Group, Cuzick J., Ambroisine L. et al. Use of luteinising-hormone-releasing hormone agonists as adjuvant treatment in premenopausal patients with hormone-receptor-positive breast cancer: a meta-analysis of individual patient data from randomised adjuvant trials. Lancet 2007;369(9574):1711–23. PMID: 17512856. DOI: 10.1016/S0140-6736(07)60778-8. 51. Baum M., Hackshaw A., Houghton J. et al. Adjuvant goserelin in pre-menopausal patients with early breast cancer: results from the ZIPP study. Eur J Cancer 2006;42(7):895–904. PMID: 16545560. DOI: 10.1016/j.ejca.2005.12.013. 52. Ignatiadis M., Buyse M., Sotiriou C. St Gallen International Expert Consensus on the primary therapy of early breast cancer: an invaluable tool for physicians and scientists. Ann Oncol 2015;26(8):1519–20. DOI: 10.1093/annonc/mdv259. 53. Moore H.C., Unger J.M., Phillips K.A. et al. Goserelin for ovarian protection during breast-cancer adjuvant chemotherapy. N Engl J Med 2015;372(10):923–32. PMID: 25738668. DOI: 10.1056/NEJMoa1413204. 54. De Vos F.Y., van Laarhoven H.W., Laven J.S. et al. Menopausal status and adjuvant hormonal therapy for breast cancer patients: a practical guideline. Crit Rev Oncol Hematol 2012;84(2):252–60. DOI: 10.1016/j.critrevonc.2012.06.005. 55. Meng K., Tian W., Zhou M. et al. Impact of chemotherapy-induced amenorrhea in breast cancer patients: the evaluation of ovarian function by menstrual history and hormonal levels. World J Surg Oncol 2013;11:101. DOI: 10.1186/1477-7819-11-101. 56. Walshe J.M., Denduluri N., Swain S.M. Amenorrhea in premenopausal women after adjuvant chemotherapy for breast cancer. J Clin Oncol 2006;24(36):5769–79. PMID: 17130515. DOI: 10.1200/JCO.2006.07.2793. 57. Arriagada R., Le M.G., Spielmann M. et al. Randomized trial of adjuvant ovarian suppression in 926 premenopausal patients with early breast cancer treated with adjuvant chemotherapy. Ann Oncol 2005;16(3):389–96. PMID: 15677625. DOI: 10.1093/annonc/mdi085. 58. Киселева М.В., Абакушина Е.В., Цыб А.Ф. Вспомогательные репродуктивные технологии в сохранении репродуктивной функции онкологических больных. Опухоли женской репродуктивной системы 2009; (1–2):108–11. [Kiseleva M.V., Abakushina E.V., Tsyb A.F. Assisted reproductive technologies in preserving reproductive function in cancer patients. Opukholi zhenskoy reproduktivnoy sistemy = Tumors of Female Reproductive System 2009;(1–2):108–11. (In Russ.)]. 59. Пароконная А.А., Нечушкин М.И., Любченко Л.Н., Кампова-Полевая Е.Б. Беременность у женщин, перенесших рак молочной железы. Опухоли женской репродуктивной системы 2009;(1–2):67–71. [Parokonnaya A.A., Nechushkin M.I., Lyubchenko L.N., Kampova-Polevaya E.B. Pregnancy after breast cancer. Opukholi zhenskoy reproduktivnoy sistemy = Tumors of Female Reproductive System 2009;(1–2):67–71. (In Russ.)]. 60. Breast cancer, fertility preservation and reproduction. Eds. : N. Biglia, F.A. Peccatori. Springer International Publishing, 2015. P. 17. 61. Swain S.M., Jeong J.H., Geyer C.E.Jr. et al. Longer therapy, iatrogenic menorrhea, and survival in early breast cancer. N Engl J Med 2010;362(22):2053–65. PMID: 20519679. DOI: 10.1056/NEJMoa0909638. 62. Pagani O., O’Neill A., Castiglione M. et al. Prognostic impact of amenorrhoea after adjuvant chemotherapy in premenopausal breast cancer patients with axillary node involvement: results of the International Breast Cancer Study Group (IBCSG) Trial VI. Eur J Cancer 1998;34(5):632–40. PMID: 9713266.